It’s hot and smoky (from forest fires raging in the province) here in Vancouver at this moment, and is going to stay that way for the next little while. But it’s not as hot as it is in the Okanagan and the Kootenays, from where we returned a couple of weeks ago from a ten day trip. It was a chance to get away from the city – since we’re forgoing a big trip this year as we save up for a cycle tour in Europe next year (!) – and to hit a few quiet roads, sit around a campfire and generally chill. 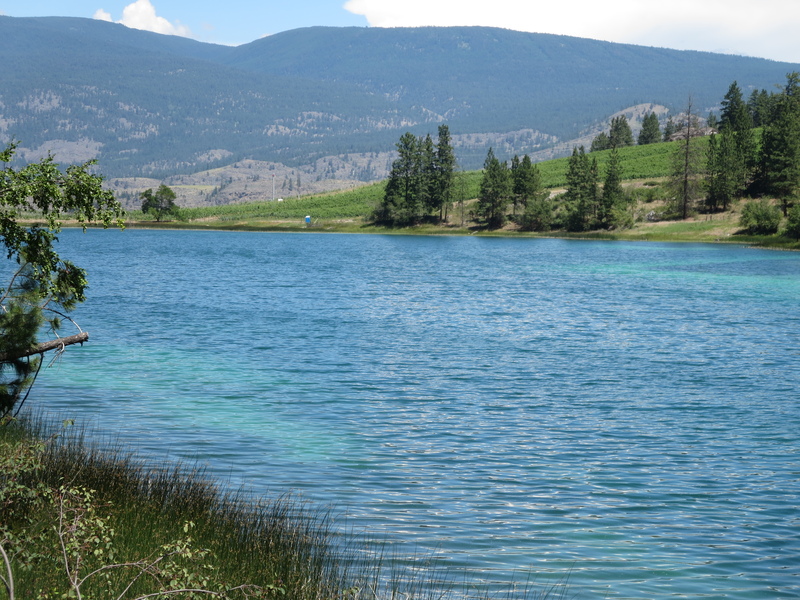 The Okanagan was deceptively green, it was already fiercely dry (although luckily hadn’t yet hit the mid 30’s) and the scent of the ever present and abundant sage as we drove into the region was already in the air as the oil was released by the heat. We had turned off the main highway onto Twin Lakes Road, quiet apart from a few cyclists, and which ultimately leads to a gorgeous valley that provides a protected home to a huge variety of birds, some of which are endangered. From Twin Lakes Road we turned onto White Lake road, with one of several alkali ponds in the area, and officially the White Lakes Grasslands Area. The glare from the minerals around the lake was intense as we stopped to listen to the meadowlarks by the side of the road. It’s a ritual we perform every time we go to the Okanagan. The fact you can step outside of the car, lean against it and listen for a while to the birdsong without the distraction of peripheral noise psychologically signals to us that we’re really on holiday, and that we’re in a special place. 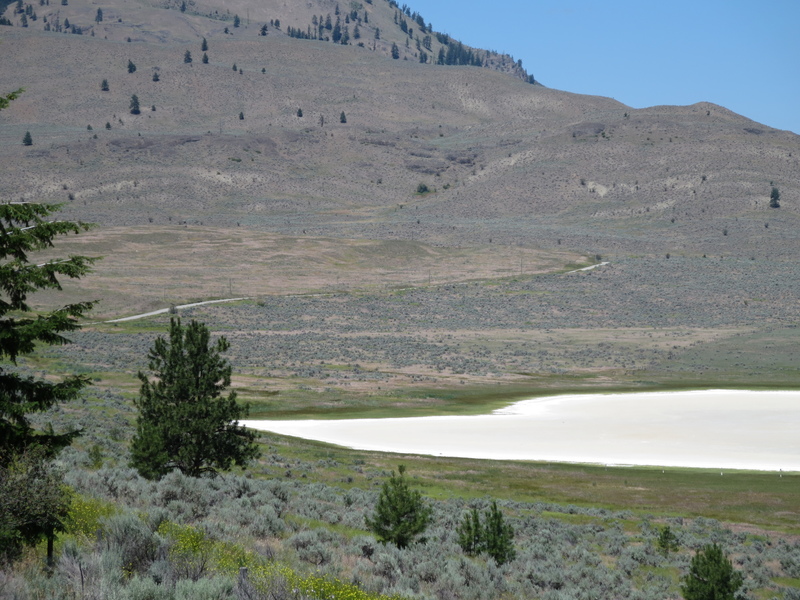 The area is one of the driest of the province, home to fragile grasses, Ponderosa Pine and red and blue listed amphibians, reptiles, insects, bird and plant species. For us, putative twitchers that we seem to have become, the birds appeared to us most frequently. 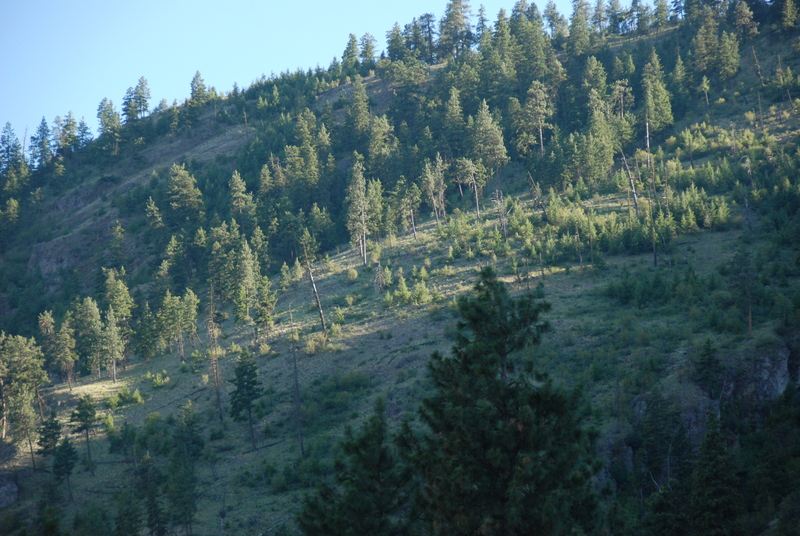 We camped in the Okanagan Falls Provincial Park, off nearby Green Lake Road and woke to the twittering and chattering of California Quail as they herded their young around. Woodpeckers, swallows, northern flickers, hummingbirds, all seemed quite comfortable in the peaceful campground. Bats took over the watch from swallows in the evening and flitted about our heads on their sharp trajectories. Visiting friends who live nearby overlooking an exquisite valley we saw what looked like either a Bullock’s Oriole or Baltimore Oriole and heard the distinctive high pitched whoomphing noise that the Common Nighthawk makes as it heads into a territorial or courtship display dive after dropping from the sky above the trees. The wildlife also makes the roads hazardous, we constantly watched for marmots, deer, snakes and bears in the car, in an attempt to avoid hitting them. The collateral damage on these country roads is pretty high. On the bike it was a little easier. 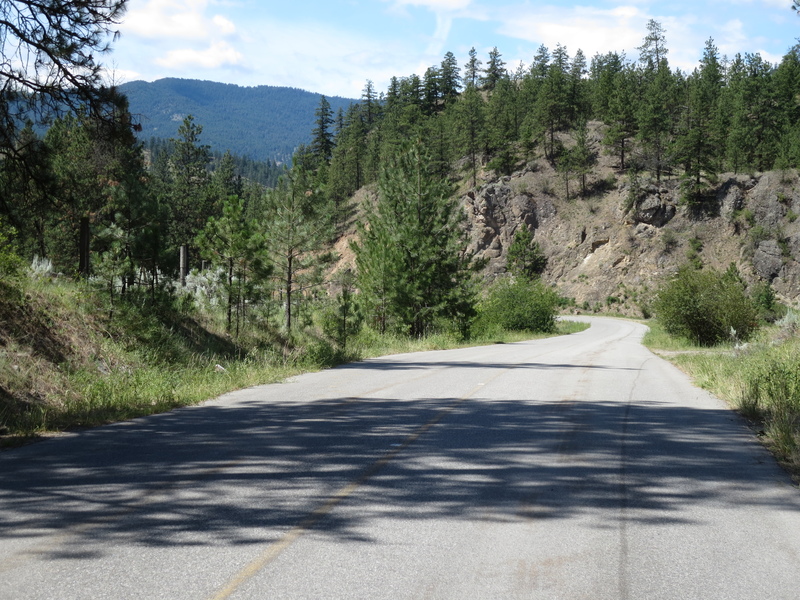 It’s a great riding area, scenic, quiet and the best way to get around so long as you head out before it gets too hot and take into account the roads can be a little rough. A small price to pay for the deliciousness of clean air and the chance to listen to the environment and its inhabitants around you living and breathing.